Are Biofilms Resistant To Antibiotics? - YeastInfection.Org by Eric Bakker N.D.
You are here: Home / Other Issues / Are Biofilms Resistant To Antibiotics? As science, and microbiologists in particular, begin their investigations into biofilms as possible causes of chronic illness a whole new society is opening up to them. This is because biofilms, no matter where they form, are not simply a collection of single-species bacteria but a diverse colony of multiple bacterial species, fungi, viruses and Archaea. Biofilm colonies take full advantage of the old adage ‘strength in numbers’ and en masse work synergistically to optimize their own survival. It is this diversity, together with the protective matrix they form and mutual cooperation between the inhabitants, which makes ridding the body of biofilms so difficult – particularly when it comes to treatment with antibiotics. It would not be an understatement to suggest that the activities biofilm colonies perform have come as a surprise to most scientists. It has been unearthed that not only do the inhabitants of biofilm communities communicate between each other by a method now known as quorum sensing which involves sending chemical messages, but they also have the sense of touch and share resources. This is in addition to forming the matrix which protects them not only from medical treatments but which also appears to radically reduce the response of the autoimmune system. Andre Levchenco a scientist with Johns expands on the subject still further and points out that biofilms are essentially, ‘…cities with very complicated architecture and channels for nutrients to go in and waste to go out. Levchenco’s statement sums up the current levels of understanding about the sophistication of biofilm activity, yet for decades scientists have examined only single strain bacteria functioning in a planktonic or free-floating manner. Under such circumstances antibiotics are, no doubt, extremely effective, but a direct analogy of a similar situation would be that of a scout being exterminated while the rest of the army remain in the fort. Planktonic free-floating bacteria are an easy target for antibiotics whereas biofilms are a completely different matter! The jury is currently out when it comes to exactly why biofilms are apparently so resistant to antibiotics or even if they are. Many scientists claim it is the strong structure of the matrix which prevents the treatment penetrating to kill the colonizers inside. Others are of the opinion that it is the practice of giving high, constant doses of antibiotics which is the problem. Dr Kim Lewis of Tulane University has researched biofilm resistance extensively and follows the Marshall Protocol. This application of treatment gives not high, constant doses but low, pulsed doses of antibiotics. Lewis claims that by giving medication which initially penetrates and kills the bacteria and then withdrawing it any ‘persisters’ or pathogenic cells left behind are allowed to grow before being hit with a second, or ‘pulsed’ dose. This kills off the persisters which, with the standard practice of giving high doses of antibiotics over a short period, are normally allowed to gain a foothold and grow again. It is clear that the arguments for and against antibiotic treatment in respect of biofilms have to undergo many years of research to evaluate effectiveness, yet there are natural treatments available now which can positively affect such conditions and alleviate the problems of the sufferer. Although the term biofilm is currently considered to be something viewed wholesale in a negative light, there is little doubt that the biofilms causing health issues are ones which specifically contain pathogenic microflora. Other biofilms exist which are not harmful to the body and, indeed it is proven they may actually provide beneficial and defensive activities within the human body. Bacteria and fungi become pathogenic when the metabolism of the body swings out of synchronisation. Good microflora, under normal circumstances, far outweigh the bad. Yet when the good microflora become overwhelmed the pathogenic state predominates. There are many external factors negatively influencing the metabolism of the human system in today’s modern environment, which is why it is so important to support the good microflora within the body and in the digestive system in particular. Restoring the beneficial microflora within the body which assist in preventing pathogenic bacterial overgrowth. Utilizing a time release system which allows the body to absorb more of the ingredients. Supplying ingredients which restore the pH of the digestive system ensuring the correct acidic or alkaline balance to promote healthy digestive function. Supplying antibacterial and anti-fungal agents contained which are specific to attacking many different strains of Candida and in particular, Candida albicans. 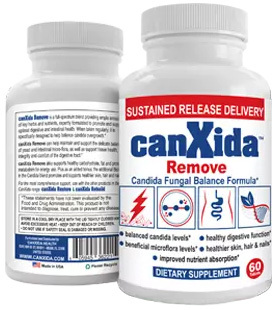 There can be little doubt that the recurring nature of Candida when treated in a traditional manner with antibiotics has much to do with the treatment itself. By approaching the problem in a holistic manner and synergistically assisting the body to not only kill the pathogenic bacteria but also to stop the problem recurring, then, given time, the battle against the Candida biofilm can be won.